Will You Help Save Michigan Athletic History This #GivingBlueday? 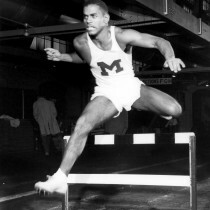 Michigan has a proud athletic tradition, and its winning history is preserved at the Bentley Historical Library. This #GivingBlueday, we need your help to keep Michigan’s athletic history alive and well. 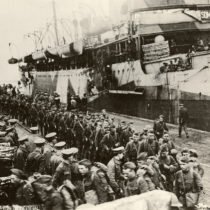 Will you help us give researchers access to the past so that we can preserve the future? Giving Blueday is Tuesday, November 27th. 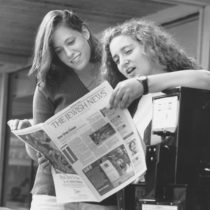 On Monday, November 5, 2018, the Bentley Historical Library unveiled a new platform for the Detroit Jewish News Digital Archive, a free, searchable database containing more than 100 years of digital copies of the Detroit Jewish Chronicle and the Detroit Jewish News. 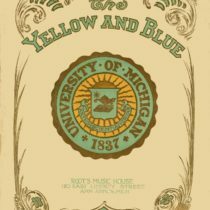 In 1867, a committee of students from the University of Michigan’s Literary Department was appointed to recommend colors emblematic of the school. They decided on “azure blue and maize,” now known as maize and blue. But what do these colors look like? The answer has historically depended on whom you ask — and when. The Bentley has digitized the collection of William B. Mershon, a Michigan lumberman in the late 19th and early 20th centuries, who also hunted and fished in Michigan. 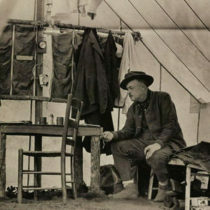 He became a witness first to the bounty of Michigan’s wilderness, and then to the dramatic loss of species. Whether it’s 150-year-old scrapbooks with decaying binding or collections from someone’s damp basement, items in the Bentley stacks often need some TLC. 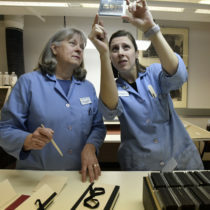 Dianna Samuelson and Corinne Robertson explain how the Bentley’s Conservation Lab repairs and preserves items for future generations.